Check out the latest arrivals in our luxury teacup puppy boutique! 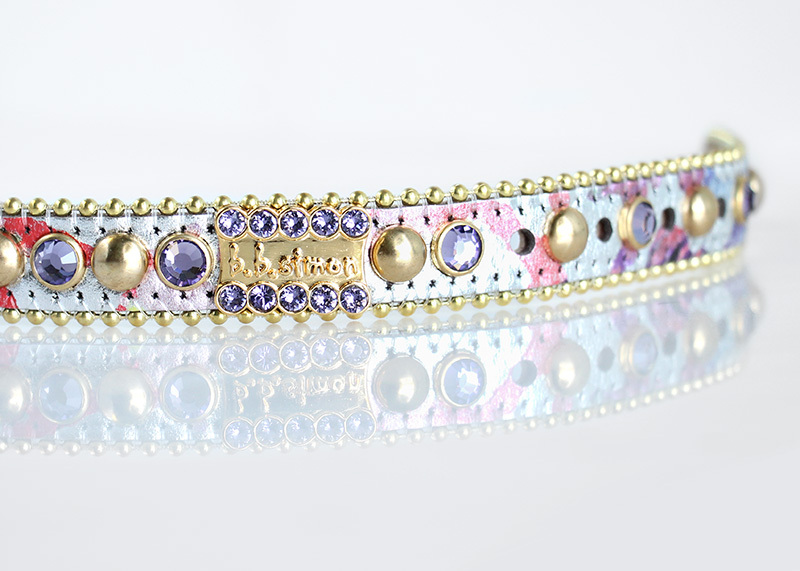 These gorgeous luxury dog collars by B.B. 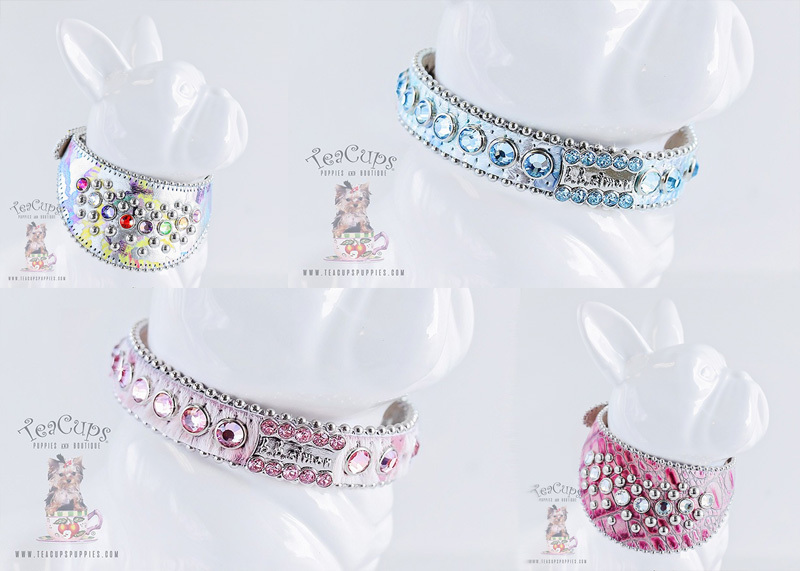 Simon are now available at TeaCups Puppy Boutique! 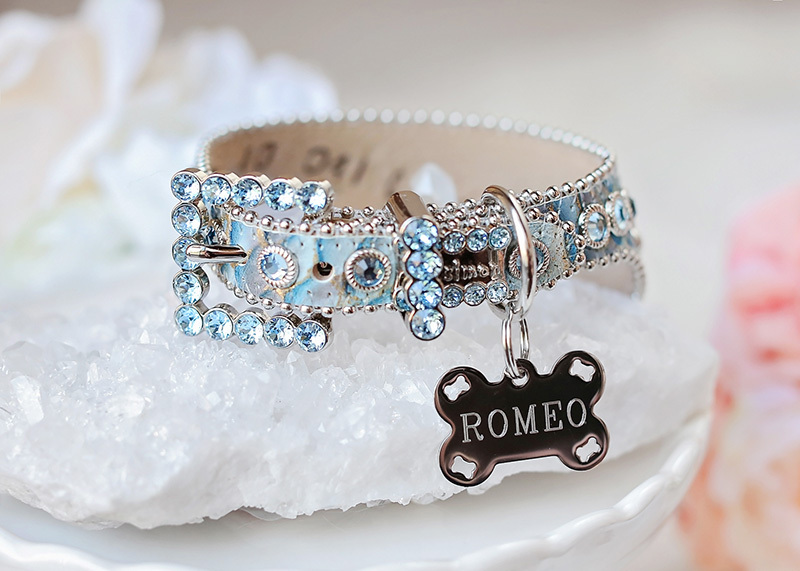 Your pampered pup will dazzle in one of these babies… Sparkling Swarovski crystals are mounted on designer Italian leather with high-quality steel rivets. Even the buckles are completely encrusted in crystals! Available in a variety of styles and vibrant colors, we have sizes to fit teacup puppies all the way up to medium breed dogs. Prices start at $48.99. Check them out in-store or visit our online luxury puppy boutique at shop.TeaCupsPuppies.com!